In our second season, we are proud to introduce a cushioning technology that will revolutionize snowboarding boots. The BOOST™ technology provides a springy and responsive cushioning to energize your riding with more efficiency and maximum comfort in any condition, on any terrain. 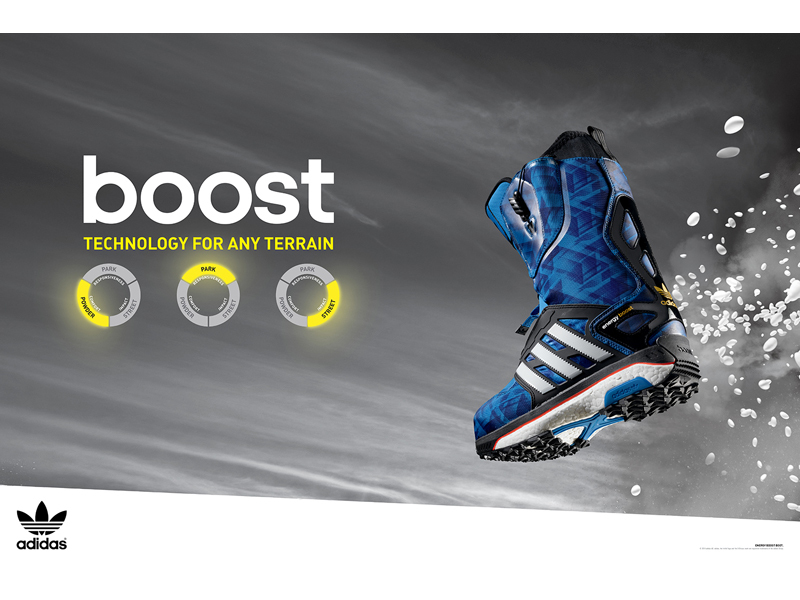 The BOOST™ boot offers endless energy return through an industry-first midsole material with dynamic edge-to-edge control and unsurpassed responsiveness. BOOST™ foam also lends an ultra-comfy ride that is 3X more resistant to temperature change than traditional EVA foam cushioning. En Route is the second installment of the Nomad Series of films from adidas Snowboarding. It follows Kazu Kokubo, Eric Jackson and Louif Paradis as they take on different conditions in different terrain throughout the world wearing the BOOST™ snowboarding boot. En Route will release on October 6th.